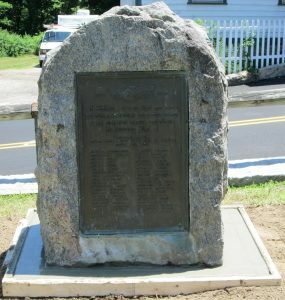 This monument has returned to its former home located in Polish Park at the intersection of Mechanic Street and Highview Avenue. It honors the members of the Polish-American Citizen’s Club who served their country during World War II. Special thanks to the Public Works Department and other local officials for coordinating the move of this historic monument to a more prominent and visible location in the Town of Hopkinton.